Americans in recent years have become thoroughly disenchanted with our political campaigns, especially with campaign advertising and speeches. Each year, as November approaches, we are bombarded with visceral appeals that bypass substance, that drape candidates in the American flag but tell us nothing about what they’ll do if elected, that flood us with images of PT-109 or Willie Horton, while significant issues–such as Kennedy’s Addison’s Disease or the looming S&L catastrophe–are left unexamined. And the press–the supposed safeguard of democracy–focuses on campaign strategy over campaign substance, leaving us to decide where the truth lies. 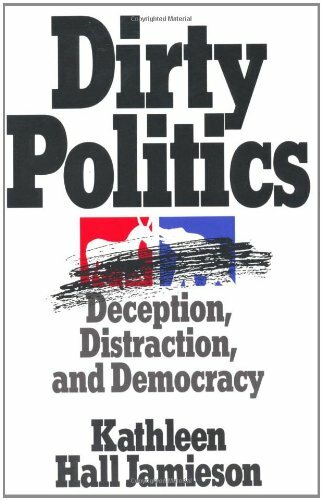 From a colorful, compact history of negative campaigning from Eisenhower to the present, to an in-depth commentary on the Willie Horton ads, to an up-to-the-minute analysis of the Duke-Edwards campaign in Louisiana, Dirty Politics is both a fascinating look at underhanded campaigning as well as a compelling argument for fair, accurate, and substantive campaigns. It is a book that all voters should read before they vote again.